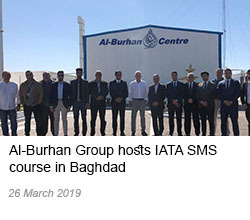 Al-Burhan Group was privileged to organise and host the IATA Safety Management Systems (SMS) course in Baghdad between the 17 – 21 March 2019. 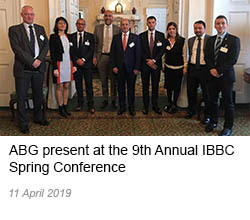 The course was attended by employees from the Iraqi Civil Aviation Authority (ICAA), Iraqi Airways (IA) and Al-Burhan Airways (ABA). The IATA SMS course has been developed in accordance with ICAO principles to help airlines fulfil their Safety Management Systems requirements and it ensures both safer operations and improved overall efficiency. 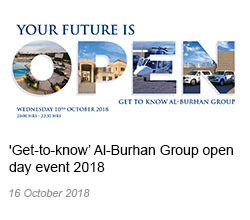 We would like to congratulate all who attended and completed the training. 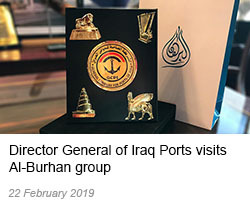 The 5-day course was considered a great success, ABG looks forward to organising more training courses to help improve services In Iraq.